It’s time once again to reflect on my year of ultrarunning. 2010 was one of my best years ever: three 100 milers with two victories and a top ten finish at Western States, three other top-five finishes at ultras, a road marathon, and a PR in the mile at historic Hayward Field in Eugene. From 5:07.6 for a mile on the track to a 2:51 marathon on the roads to 16:01 at 100 miles on the trails, I don’t think anybody else in the US, maybe even the world, exhibited such an impressive range, especially considering that I’m a headmaster, married with three boys, and 42 years old. Let’s start with Western States, the greatest race in the history of the world. Pre-race, to be honest with you, I was a little disappointed that not many people were paying attention to me. Everybody was making a big deal of the big-four: Anton, Killian, Roes, and Hal. Sure, they’re all good runners and some of the greatest people in the sport, but none of them have my record at WS or my consistency at 100 miles. Sure, Roes was unbeaten at 100 miles, but an Alaskan running in the heat? Sure, Hal has a couple of victories, but he has just as many DNFs. Anton? Yeah, he runs a lot of miles, but does he have what it takes to run 2:16 on Cal St and continue hammering to the finish with Roes breathing down his neck? I sincerely doubt it since he has shown to have a love affair with the DNF. Killian, he was definitely a big unknown and was at the top of my worry list, but foreigners usually fizzle under the competitive heat of WS; pressure that I thrive under. Why weren’t people talking about how I was the only one in the field with five straight top-ten finishes? That in 24 100 milers, I’d only finished out of the top ten once. ONCE! My consistency at 100 miles generally, and WS specifically, is rivaled only by the great Tim Twietmeyer who had a record streak of 15 top-five finishes (1989-2003), and 25 sub-24 hour finishes at WS. Tim, one of the greatest people in our sport and also a father of three boys, has 27 100 mile finishes just like I do now. After banging out a 17:31 9th place finish, just minutes behind Twiet’s old masters record, and a currently unmatched sixth straight top-ten finish, will they pay attention to me now? My two other 100 milers this year were Vermont 100, which I entered on a whim after my recovery from Western States was going amazingly well. I won for the 3rd time in a competitive field in 16:01. It’s a great race and I was fortunate to have my mom and dad there crewing for me, which made my 5th 100 mile victory that much more special. A real joy. The third one was the Grand Teton 100, where I went head-to-head in an epic “Scalp Fest” with the Duncan Callahan. Unfortunately, this classic race will not continue next year, but my name will forever be etched as the course record holder. 18:35. RIP, Grand Teton 100 miler. After these three races, my tally of 100 milers: 27. 100 mile victories: 6. 100 mile DNFs: 0. 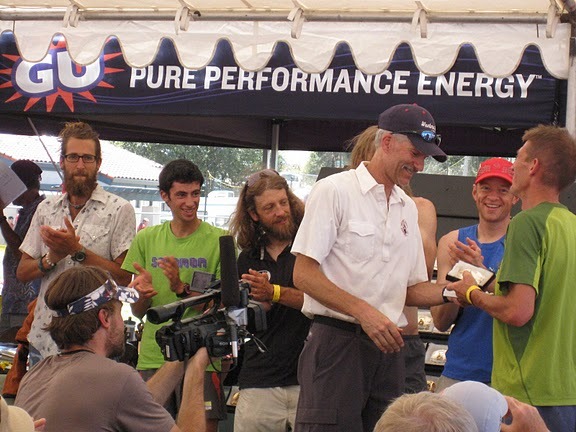 Top ten 100 mile finishes: 26, all under 24 hours. Consecutive top-ten at WS: 6. I’m well on my way to catching Karl Meltzer, whom I greatly admire because he never DNFs (well, except once in Hawaii where he was credited with a 100k finish so I can’t really take him off my Christmas card list, can I? ), in career 100 mile victories. And, I am arguably as accomplished as Twiet who has 6 total 100 mile victories in 27 races with no DNFs, just like me. But Twiet has finished outside of the top-ten many more times than my once, including twice because of you, LB. Thanks. I have been asked often why I am so good at the 100 mile distance. 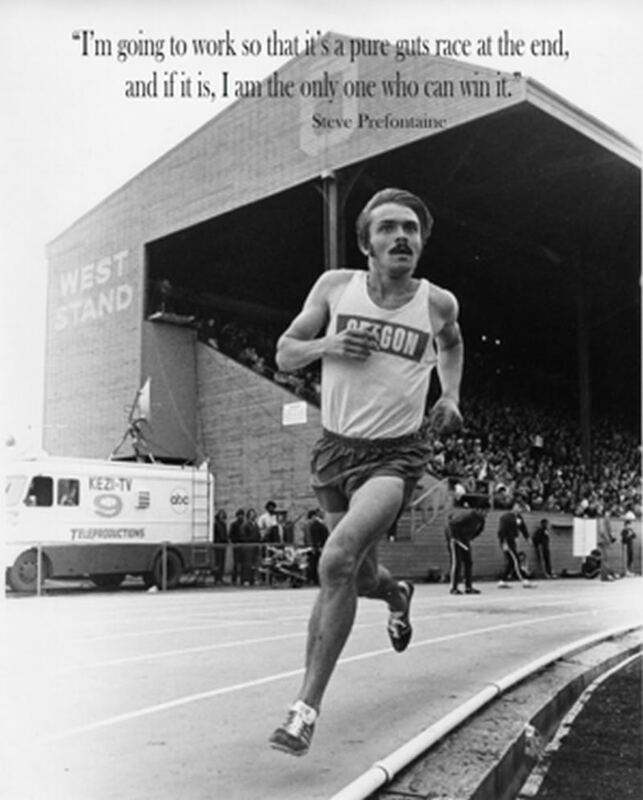 I usually reply with a Prefontaine quote like “to give anything less than your best is to sacrifice the gift” or “I run to see who has the most guts.” I do believe some of us are more gifted than others. Some mentally tougher than others. 100 milers are the best test of grit and tenacity that I know and I’m drawn to them if for no other reason than to measure my guts. To see what I’m made of. And, frankly, my record at 100 milers speaks for itself. It’s possible Pre is a relative of mine. But, I’m not just a great 100 mile runner. I’m decent at the shorter stuff too and in 2010 I tested my leg speed on the roads, winning the Sun Valley half marathon in 1:23, a road marathon in 2:51 (only off of my 100 mile training), and breaking 17 minutes in a 5K in Oregon last month. I did all of this without the pampering that some of my competitors seem to need. No massages. No stretching. No Yoga. Just working hard, putting it all on the table on race day, and drinking malted beverages for recovery every single day of the year (my current streak is 789 days and counting). But the performance I am most proud of this year is my mile PR on the track. Not just any track, but the track that Prefontaine ran on. You can read all about it here, but suffice to say I did not die on the third lap like I did last year. When LB came around with about 750 to go, I just tucked in behind and hung on. While he gapped me a little on the last lap, I scared him enough with my kick on the homestretch that he did look back, only to see me flailing like a lane farmer. But it didn’t matter that I couldn’t catch LB, I finished in a lifetime PR of 5:07.6. And tell me, who else PRs in the mile at 42 years old? Exactly. Yes, I’m voting for myself for ultrarunner of the year. Obviously. For those of you reading that are also voters, let me explain my one asterisk in my results: the DNF at Pocatello 50 miler in May. It wasn’t my fault as it was cancelled mid-race by the RDs. Truthfully, I wasn’t that concerned with the weather conditions myself, and was ready to continue on. However, out of respect for the race I chose not to disregard the race decision and I stopped when they made me. Some voters may hold that against me and I can live with that. Looking out into 2011, some of you know that I’m picking up the family and moving them from the Sawtooth mountains of Idaho to the hills of Charlottesville, Virginia where there is a thriving running community. 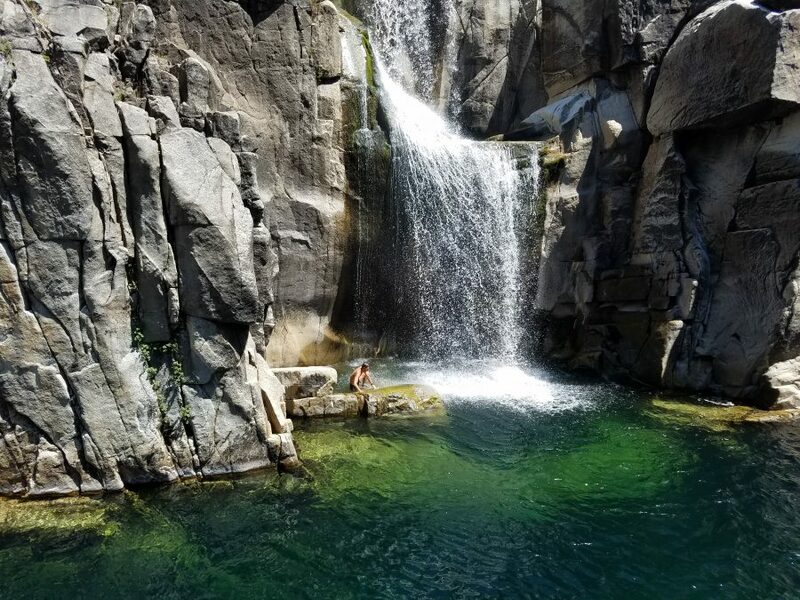 I plan to run several 100 milers this year including Western States where I will be the only one in the race with six consecutive top-ten finishes. This will be finish #8 for me. Thanks for the opportunity to guest post, LB. Hope your 2011 is better than your 2010. Judging by the increased traffic from your blog to mine (up 182% this year), I think you are being recognized as one of the top 100-milers around. You had another fantastic year, in a sport where consistency is tough to come by. If another trophy on the shelf makes you feel more “recognized”, you’ve got my vote (wait, where do I vote again?). But I doubt winning or not winning will hold you back from a stellar 2011. I’m curious about your mile time being a Life time PR? You ran 4:31 in High school, which I believe, is still the school record. Great article Craig! @Pete Gibson, AJW’s previous mile PR, he claimed, was 5:12, but I don’t think he really knew. My PR from high school is 4:33, and may indeed still be the GSHS record. LB, did you have shelley tape your feet before you wrote this post? @MonkeyBoy, Nope. Just drank 3 Sierra Nevada Pale Ales. But were you ever humbled by a race? @April, Good question. I don’t think Pre was ever humbled either. Maybe they are related? Craig, thanks for the coffee warning on FB. I set it down before beginning to read and it was a good thing as otherwise I might have sprayed Pete’s ‘Breakfast Blend’ out my nose onto the computer screen. Classic! If how good of friends you and AJW are is directly proportional to the creativity and hilarity of your “channeling” abilities in a clowning-fest, then you guys are attached at the hip…come to think of it maybe that’s why AJW’s running form is slightly less than textbook? @Koz, I take no responsibility for the lane farmer’s form. Glad you enjoyed the post. It was one of the most fun posts to write all year. I thought he did a good job, too. And since we did it synchroblog style neither of us had seen the other’s post until we woke up in the morning and read ’em like everybody else. @Craig, Definitely the most fun I’ve had posting all year. And, Craig, when are you going to write your dnf post? @AJW, I ain’t touching that one. That’s all yours, Pre. @ 3 x Names. Wow! You are definately one of the greatest 100 mile runners to ever walk the earth. But nothing compares to your beer drinking record. To bad none of these races give out prize money. It would help you pay for a new liver some day! 27 finishes and 0 DNF’s — all the while these were high place finishes, even the best NASCAR drivers would be envious of such a record. Thank you for giving beer drinkers everywhere an excuse not to break the habit. *the magic of running at Hayward is at least 1 second a lap faster, so your time really is a 5:10+ everywhere else. Hey, maybe we should run a 100 at Hayward? Hilarious! Just a factual note, though; I believe Tim DNFed @UTMB, didn’t he?